1 drawing on paper ; 8.5 x 11 in. 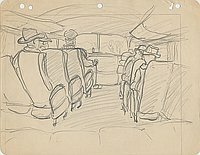 Pencil drawing of a view from back of a bus down center aisle. 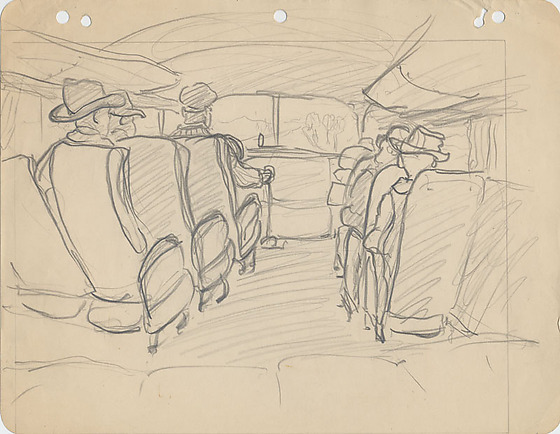 Four men in hats ride in the two rows behind the driver, who is seated on the left gripping gear shaft. Overhead compartments visible below roof. Road and landscape stretch out in front of bus. Fine rectangular border.